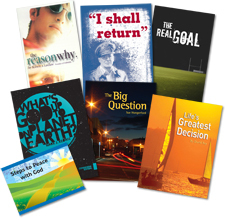 Castle Publishing offers a range of excellent evangelism aids. This pack allows you to sample our range of gospel tracts so that you can find the best resources. The tracts are high quality booklets and leaflets, attractively presented with compelling and easy to read content.